Intellectual property is the product of the human intellect. It refers to creations of human mind and brain. It may be inventions; literary and artistic works; designs and symbols, names and images used in commerce etc. Intellectual Property Law recognizes the rights of the creator/owner over such creations and protects unauthorized use of the same. 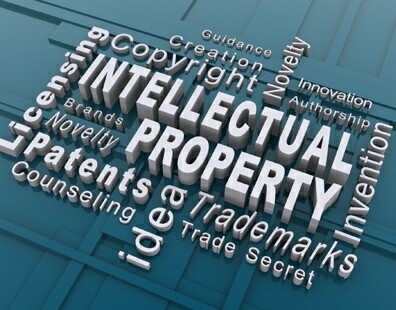 Intellectual property rights enable them to earn recognition or financial benefit from what they invent or create. In this regard Intellectual Property Rights do not differ from other proprietary rights. The main intellectual properties are Trademarks, Copyrights and Patents. Trademark serves as the distinct and manifest identity of a business or corporate entity. In the business world, Trademarks are of immense importance and is considered as a valuable asset of the business. A Trademark may be a distinct brand, logo, business name, hallmarks, seals, pictures, engravings, letters, figures, drawings, distinctive catch phrases, taglines or captions, signatures, or any other mark signifying the identity of a particular business. The Federal Law no. 37 of 1992 deals with the various legal aspects of Trademarks in UAE. The Law provides for the registration of trademarks with the Ministry of Economy. Often, dispute arises between the prior user and the registered owner of a trademark. There is provision in the said federal law for striking off a trademark wrongfully registered. Our firm is licensed and registered with the Ministry of Economy. We have a team of Intellectual Property lawyers who are well equipped to provide whole range of trademark services including the enforcement of clients disputed trademark in the court of law. Drafting trademark license agreements, franchisee agreements and assignment deeds. Copyright protects the original expression of ideas. It applies to a wide range of creative, intellectual, or artistic forms of works like books, articles and other literatures, Computer software, database and applications, Lectures, speeches, Plays, musicals and pantomimes, Audio and video work or audio visual work, Architectural work and drawings, works of Drawings Paintings and other fine arts, Photographic work, Works of applied arts etc. Copyright does not protect ideas, procedures, methods of doing business, mathematical algorithms and basic principles and facts but only the expression thereof. In UAE, the Law relating to Copyright is contained in Federal Law No. 7 of 2002. Copyright is protected in UAE and unauthorized publication of an author’s work of art is penalized. The Law also provides for registration of copyrights. In this cyber and internet era plagiarism/unauthorized copying has become easy and hence copyright infringement is widespread. Books, movies, software etc. are copied and reproduced indiscriminately. Our Intellectual property Lawyers are experts in the legal intricacies of Copyright issues and are trusted in procedures relating to registration of copyrights, injunction /prevention of infringements, dispute resolution and litigations relating to copyright issues and in drafting copyright licenses/assignments. Worthy Inventions demand investment of time, hard work, intellect and money therefore, it is important that entities or persons who hard earn such inventions should be rewarded and patents are meant for that. Patents promote inventions. A patent is an exclusive right granted for an invention, which may be a product or a process. The patent owner has the exclusive right to prevent or stop others from commercially exploiting the patented invention. Patent protection means that the invention cannot be commercially made, used, distributed, imported or sold by others without the patent owner’s consent. The UAE government has been encouraging knowledge boom and inventions. Huge initiatives have been taken up by the authorities including innovation funding programs. A large number of projects have been undertaken by the UAE government to attract innovations and foreign investments in the technological and knowledge arena and a number of free zones, such as Dubai Silicon Oasis, Dubai Internet City, Dubai Knowledge Village, Dubai Technology and Media Free Zone have been setup. Patent protection in the UAE is granted for inventions that are novel, inventive and useful and it is regulated under Federal Law No.17 of 2002. Our Intellectual property Lawyers are committed in helping individuals and corporates protect their valuable intellectual property with necessary registrations and legal actions in case of infringements. Our experience, quality of our work and passion for innovation differentiate our intellectual property lawyers.